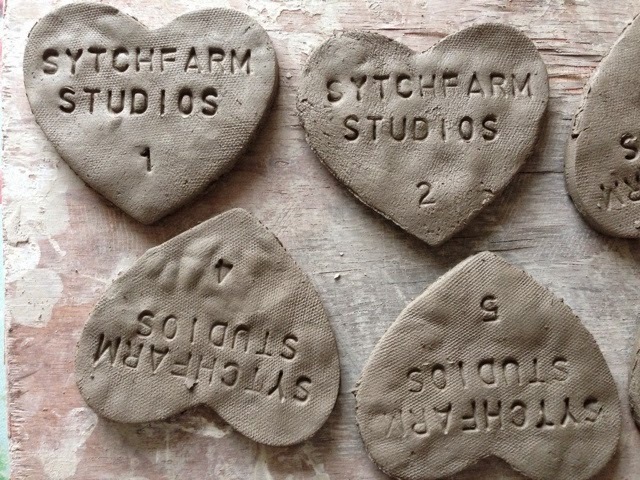 Whilst we are yet to have Christmas I found some time today to start on a limited run of Valentine day hearts. 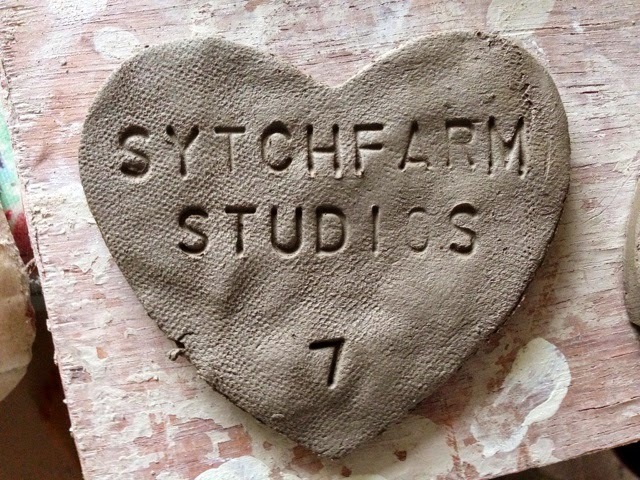 On the back of each one is Sytch Farm Studios and a number. I'm only going to make a hundred of these and each one will be numbered. These pictures show them as still wet so they will change through the firing process. 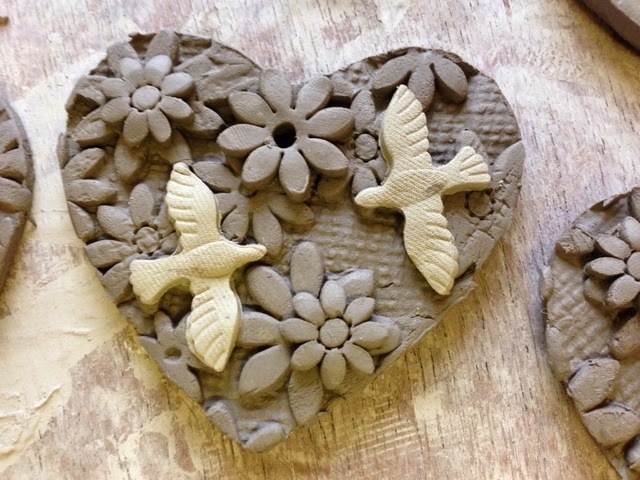 For Valentines Day 2014 they are going to be made in the buff clay with white stoneware doves. The doves will really stand out once the oxide has been added. I made thirty five today and will make more later this year but I wanted to get some ready for photos and promoting now I know how far ahead magazines and advertisers work. I'll add finished photos when they are ready and number one is already reserved!